Auguste Franchomme (1808–84) was perhaps the most admired French cellist of his time. Born in Lille in 1808, he came to Paris in 1825 with almost no money and won the Conservatoire’s premier prix in cello within a few months. Within five years, he was one of the most famous cellists in all Europe, known for his beautiful tone, moving performances, and virtuosic technique (which he was already showcasing in his own compositions, see below). While still a student in Paris, he was employed with the Théâtre de l’Ambigu-Comique. In 1827 he played briefly in the Opéra orchestra before moving to the Théâtre-Italien, where he soon became principal cellist. He became first cellist of Louis-Philippe’s Musique du Roi; cellist of the Alard Quartet and the Matinées Annuelles (the most prestigious French chamber music society of the mid-19th century); principal cellist of the Paris Conservatory Orchestra (Société des Concerts du Conservatoire); and a beloved teacher at the Paris Conservatoire for 56 years, until just weeks before his death. He lived modestly, but was able to acquire the Antonio Stradivarius cello that had previously been played by Jean-Louis Duport (and, later, by Mstislav Rostropovich), described by Anner Bylsma as “the most beautiful cello ever made.” He was made a chevalier of the Légion d’Honneur in 1872. Franchomme is remembered today mainly as the dear friend and frequent performance partner of Chopin. Liszt introduced Franchomme to Chopin when they were in their early 20s, and their ensuing friendship became an important mooring in Chopin’s increasingly tempestuous life. Franchomme was the dedicatee of several of Chopin’s compositions including his final work, the Sonata for Piano and Cello, op. 65, and he was the recipient of the last letter Chopin wrote. Chopin incorporated Franchomme’s revisions in the revised version of the Introduction and Polonaise brillante, op. 3, and the two friends composed together their Grand Duo Concertant sur “Robert le Diable” de Meyerbeer. Franchomme was an accomplished composer in his own right, but, remarkably, most of 50-some pieces he published during his lifetime have been out of print since his death The forthcoming CD on the Delos label, “The Franchomme Project,” offers world premiere recordings of some of these works. You can watch a video of me and Julia Bruskin performing the Nocturne, op. 14, no. 1 HERE, and of me and Saeunn Thorsteinsdottir performing the Nocturne, op. 15, no. 2 just below. There will also be a Dover Performance Edition, Auguste Franchomme: Selected Works for Cello and Piano, selected and introduced by me (Dover, 2015). More information on Auguste Franchomme and the Franchomme Project HERE. Franchomme first appeared as soloist before the grand public at a concert of the Société des Concerts, during its second season, when he was just 21. 1. Ouverture d’Oberon, de Weber. 2. Air tiré de l’Hymne de la nuit, de M. Lamartine, musique de M. Neukomm, chanté par M. Wartel. 3. Solo de cor, par M. Mengal. 4. Symphonie en la de Beethoven (redemandée). 6. Solo de violoncelle, par M. Franchomme. 7. Alleluia, grand chœur du Messie de Haendel. Un jeune homme, un enfant, M. Franchomme, est venu, ignore, jouer sans prétention un solo de violoncelle, de manière à se mettre tout à coup sur la ligne des plus grands artistes. Il a dit un thême, sans aucun ornement, et toute l’assemblée fut transportée de plaisir. … Trois, quatre, cinq salves d’applaudissemens ont à peine suffi pour exprimer le plaisir qu’avait éprouvé l’assemblée. A young man, a child, M. Franchomme, has come, unknown, and played without pretention a cello solo, in a manner that suddenly places him in the lineage of the greatest artists. He stated a theme, without any ornament, and the audience was transported. … Three, four, five rounds of applause were barely enough for the audience to express their pleasure. Louise Dubin has appeared recently with BargeMusic, Caramoor, Music of the Spheres, Piccolo Spoleto, Savannah Music Festival, in addition to concerts promoting The Franchomme Project. Her webpage is HERE. 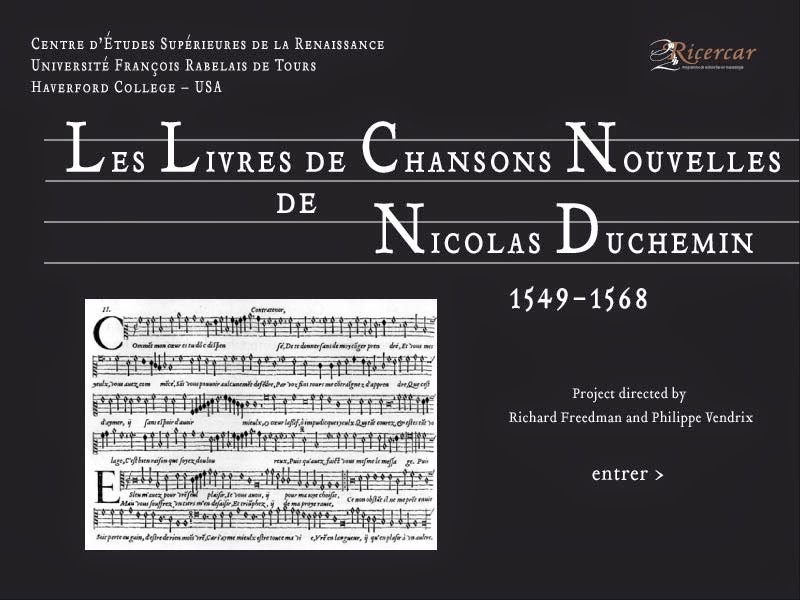 The Lost Voices Project centers on 16 sets of part-books published by Nicolas Du Chemin (Duchemin) in Paris in the years between 1549 and 1568, offering facsimiles and modern editions of almost 400 chansons by such composers as Clément Janequin, Claude Goudimel, Etienne Du Tertre, and many others. The site, digitalduchemin.org, is freely available to anyone interested in Renaissance music—anyone, indeed, curious about the humanities in the digital domain. This new avenue focuses particularly on the question of the lost partbooks: the contratenor and bassus voices for volumes 12–16. Some of the pieces found in these books survive in other music prints from subsequent decades, but about 80 of the 120 pieces in these last five books are unica, and so the contratenor and bassus parts are likely to remain the “lost voices” that need to be supplied. Richard Freedman treats these matters in “The Renaissance Chanson Goes Digital: DigitalDuchemin.org,” forthcoming in Early Music 42 (2014). You can read the complete poem of each piece (with rhyme diagram), scroll through the piece, or listen to the music in high-quality sampled versions (lute in mean-tone tuning). Help menus explain how to use the many features of the site. The Lost Voices Project also opens these chansons to some novel modes of collaborative inquiry. It presents a large database of analytic observations about the music (with some 11,000 entries). You can search, sort, and save your queries. With a free individual account you can collect “favorite” pieces, take private notes on them, and participate in live public discussions about them. (The “help” menus explain how to request an account, or how to reset your password if you already have one). Meanwhile the research teams have created new kinds of dynamic digital editions using the open-source Music Encoding Initiative standard. Here you can view variants and emendations (with critical reports for each piece), as well as display any phrase or analytic segment instantly in any modern internet browser: no special software is needed. (The PDF versions are “engraved” and look very professional in terms of layout and spacing. The various dynamic editions are done on the fly in the browser itself, which is what allows them to be so dynamic; they will not look perfect in terms of layout and spacing.) The underlying critical editions (in the MEI system) are in a permanent (and cross-platform) encoding. Think of this as the “acid free paper” of the digital age. 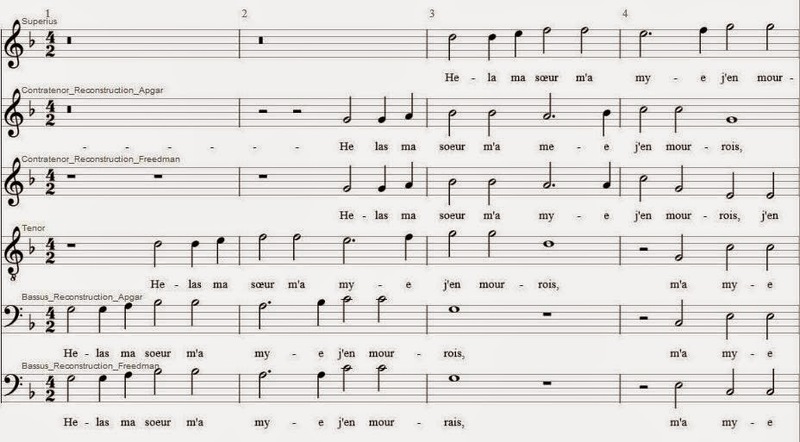 You can also take part in the collaborative exploration of the “lost voices”: reconstructions of the contratenor and bassus parts of dozens of pieces from the last five volumes of the corpus. You can compare different solutions (just as you can compare variant readings for the complete works). If you like, you can also contact the researchers to submit a reconstruction of your own. Lost Voices is supported by National Endowment for the Humanities, the American Council of Learned Societies, the Centre National de la Recherche Scientifique (CNRS), the Centre d'Études Supérieures de la Renaissance (CESR) at the Université François Rabelais, Tours, and Haverford College. But wait, there's more: A new project on the Renaissance Imitation Mass, drawing on these systems, has attracted major funding from the Mellon Foundation and the Maison Fondation des Sciences de l'Homme. It will run for the next three years, and involve more collaborative work by French and North American scholars. Stay tuned. Richard Freedman is John C. Whitehead Professor of Music at Haverford College in Pennsylvania Haverford, PA 19041. He is author of Music in the Renaissance in the W. W. Norton series Western Music in Context (2012). Webpage HERE. Philippe Vendrix directs the CESR in Tours. He holds degrees from the Universities of Liège, Arizona, and Tours. Webpage HERE. I was sufficiently annoyed by Bob Freeman's post in the Chronicle of Higher Education's blog last month (“Needed: A Revolution in Musical Training,” 29 August 2014), to have begun a response. After all, everybody who is anybody in philharmonia—musicians, management, the public . . . even, gasp, musicologists—has been thinking about these matters and acting on them for a generation now, i.e., since Freeman was at Eastman. Often with stunning result: consider, to cite just two paradigms, the thriving youth-orchestra movement in the U.S. and internationally, and the virtual concert hall. How many trombonists (political scientists, writers) get degrees is neither cause nor effect. Every university I know anything about does booming business in multiple majors, crossover, and audience building (or, better, building cultural literacy). Even I, old, white, and prevailingly European, can now speak from experience about turntabling and Korean drumming and ska. But a few days later there were already several dozen responses to Freeman's post, mostly approving, and the debate was well engaged. There was plenty of good news in the air, too: for instance what appeared to be victory for both the artists and the public at the Metropolitan Opera. To say nothing of echoes from June 2014 of two blockbusting grants, $32 million, to the Chicago Symphony, the largest gifts in its history. A contribution of $17 million from the Zell Foundation, announced by billionaire Chicago real estate tycoon and former Tribune Co. board chairman Sam Zell and his wife Helen, provides for the naming, in perpetuity, of the position of CSO music director, a post Riccardo Muti has held since 2010 and whose tenure recently was extended with a new five-year contract through the 2019–20 season. A $15-millon gift from the Negaunee Foundation (established in 1987 “to celebrate the arts and education in greater Chicagoland”) provides annual operating support and endowment funds tor the CSO’s education and community engagement wing, the Institute for Learning, Access and Training. It will be known from now on as the Negaunee Music Institute at the Chicago Symphony Orchestra. This is, by the way, the swansong of the remarkable Deborah Rutter, chief executive at the CSO (2003–14) and now president of the Kennedy Center—the kind of leader, and there are more than a few, able to untangle, fix, fund, and go forward. The very same Chicago Symphony Orchestra announced a new $2-million endowment: the Randy and Melvin Berlin Family Fund for the Canon. The published language goes on, hair-raisingly, to describe a mission “to support programming by classic German and Austro-Hungarian composers such as Bach, Beethoven, Brahms, Mozart, Schubert and Schumann.” The first year of the program indeed, underwrites performances of Beethoven's Ninth (20 September), the Brandenburgs (November), the Beethoven Triple (March), and a program of Mozart Piano Concertos with Schumann's Frauenliebe und -leben (April). One would have thought that the canon might by now have included, say, Daphnis and Chloe (nay, The Rite of Spring) and the Four Seasons, and maybe the Peer Gynt suite. Mendelssohn continues to qualify as “German and Austro-Hungarian.” The formulation as published sounds like something penned in Planned Giving that got out in the frenzy of euphoric press releases. I'll bet the Berlin Family has broader tastes. And more power to them: they know what they like and are willing to pay for it. (They've also endowed Berlin Family Lectures in the humanities at the University of Chicago, beginning October 16, a chair in multiple myeloma research at Memorial Sloan-Kettering, and a good deal more over a long stretch of time.) Lord knows our orchestras can use every new dollar that comes their way. The CSO almost certainly will spend it wisely (very good thinking, too, in the case of the Negaunee Music Institute). D. Kern Holoman is curator of Musicology Now and has been actively involved in classical music philanthropy for forty years. NOTE. 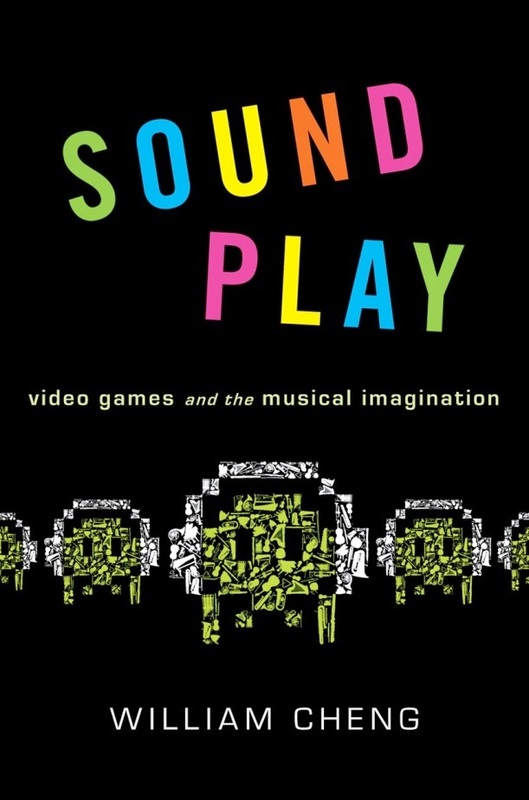 Sound Play: Video Games and the Musical Imagination was published by Oxford University Press in May 2014. Here is an excerpt. Around the same time my dad dropped a Nintendo controller in my four-year-old hands, my mom tucked a Yamaha piano under my fingers and started me on weekly lessons. Every day, an hour of piano practice, followed by an hour of games—for years, that was the deal. While these respective activities were introduced to me as work and reward, I must have grown up drawing meaningful connections between the two. I say this in part because it makes for a cool origin story (the kind that superheroes in comic books always have), letting me trace my present-day fascination with video game audio to some radioactive fusion of gaming and musical experiences in my youth. But really, this vision isn’t at all facetious: many children these days do come of age playing video games as well as musical instruments, learning in both cases how to make magic with feats of manual dexterity. Both gameplay and musical play involve the apprehension, interpretation, and manipulation of signs and materials within technical constraints and customs. Gaining proficiency in either exercise requires determination and practice. Individuals who persevere might eventually prevail as virtuosos (qua virtual superheroes) with greater knowledge, literacy, and technique than they initially believed possible. Performance, collaboration, and competition are vital in musical and gaming cultures alike. For every sublime rendition of a Beethoven symphony at Carnegie Hall, one could find an expertly orchestrated clan of warriors raiding a dragon’s lair in World of Warcraft. And for every professional piano contest, amateur battle of the bands, or American Idol episode, there’s a million-dollar StarCraft tournament with professional gamers (a.k.a. e-athletes) who train fourteen hours a day. Of course, apart from these arenas of dazzling spectacle, music and games accommodate solitary, contemplative engagement: both are said to have therapeutic, rehabilitative, and analgesic effects; both have potential to facilitate trance, flow, and immersion; and both possess transportative powers, ushering us into otherworldly spaces and alternative states of mind. Such alleged provisions of escapist pleasure have long placed music and games at the centers of comparable debates about the intellectual and moral valencies of all things leisurely. Just as musicology in its early years took time to gain respectability amid wider academic circles, so video game scholarship has faced its share of skepticism toward the legitimacy of its designated queries. Innovations in video games and game music over recent decades have furnished new ways to think through matters of sound and play. Many games grant opportunities to interact with audio phenomena in manners that might not be prudent, practical, or possible in the physical world. In virtual environments, there’s unusual license to play with sound, to push the boundaries of its signifying and sensational capabilities in diverse, fantastical contexts. Sound Play lends an ear to how video games give rise to imaginative—often transgressive—forms of sonic engagement. It delves into how game creators, composers, and players employ (or otherwise come into contact with) music, noise, voice, and silence in ways that purposefully or inadvertently challenge social rules, cultural conventions, technical limitations, aesthetic norms, and ethical codes. Designers of games constantly surprise players with novel concepts and products. Players in turn persistently strike up emergent behaviors that designers themselves might not have anticipated or intended. The title Sound Play captures two of this book’s leading claims. First, the phrase emphasizes the imaginative ways in which individuals play with sound via video games. And second, it raises issues about the perceived soundness of play, the oft-remarked sense of safety, impunity, and distance that people ostensibly experience in virtual and online settings. In multiplayer games, it is common for players to trot out excuses such as I was just (role)playing! or It’s just a game! when facing accusations of foul play. In the real world, one might think twice before rounding up five friends to bombard an auction hall with unsynchronized bagpipe music—yet I’ve seen players simulate this sort of performance in virtual Middle-earth. Similarly, one cannot expect to be easily pardoned for verbal sexual harassment in face-to-face scenarios, but these kinds of offenses (carried out with voice chat) have become part and parcel of online shooter games. Players who act out through sound or speech in online games sometimes downplay the severity of their transgressions by explaining that it’s only music or only words. How bad can music spamming or verbal abuse really be? Sticks and stones . . . or so the saying goes. In multiplayer games, infractions like cheating and hacking are typically met with swift rebuke from fellow players or even official sanctions from game administrators. Sound-based infringements, by contrast, frequently get a free pass. This double standard may be due to widespread presumptions about the recreational nature of music, the relative innocuousness of speech, and more generally, the intangibility and ephemerality of sound. For some individuals, playing with sound in a video game can feel akin to engaging a diversionary object within an already diversionary medium. It is this double frivolity—in effect, make-believe twice over—that may embolden players and game designers to experiment with audio materials in ways that would be impractical, immoral, or objectionable in analogous real-world situations. Instances of transgression can be paradoxically crucial to an understanding of social order because they lay bare the very rules and borders that might—in times of obedience—go unremarked or wholly unnoticed. Only when laws are broken (or under imminent threat of defiance) do we pay them much heed. Liberties taken in and with games can ultimately teach us profound things about what music is or isn’t, how it works, what it’s good for, and why and to whom these questions should matter in broader contexts. If play is an important part of music, it follows that games should provide an effective medium through which to rethink a number of familiar musical topics. Sound Play is at heart an enterprise in reciprocal critique: besides investigating video games and game audio from interdisciplinary perspectives, the book mobilizes its conclusions to reassess certain biases and rubrics entrenched in musicology, cultural theory, media studies, communications, and related fields. All in all, the sounds of play and the play of sounds can do much to expand conventional wisdom about aurality, performance, expression, creativity, authoriality, liveness, authenticity, labor, free will, aesthetic autonomy, violence, and a host of additional subjects. William Cheng is Assistant Professor of Music at Dartmouth College (website HERE). In fact Schweitzer did not leave Lambaréné (Gabon) between 1939 and 1948. In 1949 he made his only visit to the United States, to speak at the Goethe Bicentennial Convocation and Music Festival in Aspen, 27 June – 16 July (now reckoned as the inaugural moment for the Aspen Festival and Aspen Institute of Humanistic Studies). 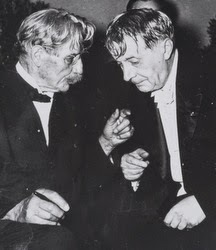 In Boston, 19–20 July 1949, he signed the cabinet of the new pipe organ in Symphony Hall, missing the arrival at the BSO of his cousin (by marriage) Charles Munch by a matter of days. Schweitzer's daily itinerary in the U.S. HERE. 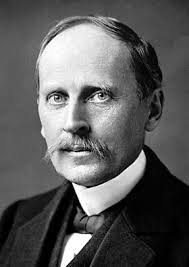 Rolland was invited in his capacity as first professor of musicology at the Sorbonne (from 1903) and pioneering Beethoven scholar-critic. His La Vie de Beethoven (1903) and Beethoven et Goethe (1930) were by then widely known; he had just published the first version of Beethoven: les grandes époques créatrices—La Messe solennelle et les dernièrss sonates (1937). Proceedings of the New York Congress were published as Papers Read at the International Congress of Musicology Held at New York, September 11th to 16th 1939, ed. Arthur Mendel, Gustave Reese, and Gilbert Chase (New York: Music Educators' National Conference for the American Musicological Society, 1944). The famous (to musicologists, anyway) photograph made at the time is featured in an earlier post on Musicology Now. It is, finally, the 200th birthday of the Star-Spangled Banner. Big doings in Baltimore, of course. There were no respondents to our challenge to ascertain the connection, if any, between Francis Scott Key and musicologist Susan Key. Offer ended. Why do the Amish sing? Professor Elder wrote this post for the JHU Press Blog at Johns Hopkins University Press, where it appeared on 11 August 2014—and simultaneously on the Amish Wisdom Blog. Her book Why the Amish Sing: Songs of Solidarity and Identity (including sound samples at that link) was published by JHUP this summer, supported in part by a subvention from an AMS 75 Publication Award for Younger Scholars. The media typically portray Amish characters as either disapproving, humorless, and colorless adults rigidly humming a solemn hymn to keep worldly thoughts at bay or conflicted, cocky, out-of-control rumspringa adolescents listening to ear-splitting rock and testing all the limits of decency. Of course, TV and the movies are by definition fantasy. But for many curious non-Amish these images lurk in their minds as at least partial truth. While interviewing Amish families for my book Why the Amish Sing, I discovered a fuller picture. First and most importantly, to quote an Amish friend, “We’re human just like you are. We have the same temptations. We have to choose.” Music is one area where the Amish work at holding back the wild horses of modernity and secularism by carefully selecting the texts and tunes that nurture godliness, kindness and mutuality. I argue that music serves as one of the scaffoldings by which the Amish build and maintain boundaries and healthy community structures. Human voices also adorn an Amish person’s day. A grandmother calmly provides directions for safely using scissors. A father petitions God for breath, strength, and the ability to forgive. A daughter’s lilt leads a favorite family song. High-pitched children’s voices gleefully encourage each other on the baseball field or buzz in loud whispers around the potbelly stove before school starts. An auctioneer coaxes up the price of a dozen eggs. In casual settings, several verses of “How Great Thou Art” ring in the air, or a German text about being a faithful child is sung to the tune of “Just As I Am” in unison or well-rehearsed harmony. Last winter, a lovely Amish couple, Atlee and Mary Miller, invited some friends over and allowed my friend Steve Hebrock, a sound engineer, and me to record their singing. When we arrived, Atlee, his son, Daniel, and two friends, Steve and Jerry, were joking and amusing each other with personal stories. Mary joined us. We became caught up in the air of delight. This group of men was comfortable with each other with no social lubricant other than stove-brewed black coffee. Atlee told of his bus ride from his military induction appointment when the announcement came that world leaders had signed the armistice ending World War II. Steve mentioned a favorite moment in the chicken house with his son. The men enthusiastically sang Steve’s song, “Ich war ein kleines Kindlein,” a meditation on the human condition. “What have I accomplished while I have been on this earth?” the singers asked. I have created nothing in my time on earth. The words require participants to accept their humanity and to devote themselves to their Creator. Mary, Atlee’s wife, adds that the words of that text are very touching. Sung a third again as fast, the tune would sound like a cousin of the haunting British folk tune, “Barbara Allen.” But, at the pace the men sang, it is a bittersweet introspection that ends on a heartbreaking modal (mixolydian) flat ti (lengthened for emphasis), then do, re, do. Singing together provides the setting for Amish friends to share serious memories and keep their community’s stories vibrant. D. Rose Elder is an associate professor of ethnomusicology and rural sociology and coordinator of humanities and social sciences at the Ohio State University Agricultural Technical Institute. This blog reckons its formal beginning (after some alpha- and beta-testing) as the start of the academic year, 2013–14. Right now you're within a couple of clicks of everything we've published: expand “Blog Archive” on the right or browse the “Tags” further down. Our goal was to publish about three times a week; the real-life achievement was more like nine a month. Musicology Now is visited by between 150 and 200 readers each day, as many as 10,000 in some months, and a grand total today in excess of 250,000 hits. Our readers are, predictably, from the US, Canada, UK, France, and Germany, but also China, Ukraine, Russia, Israel, and on and on. These measures are slippery at best, affected in this case by reposting via Facebook, inclusion in established websites and large-lecture classes (and at least one MOOC), etc. Recent flurries of readership (linked below) centered on contributions by Kristi Brown-Montesano and Jeremy Denk on The Classical Style (opera) and Mark Brill on World Cup soccer; earlier, Robert Fink's “How I Got Over” and John Halle's response earned a large following. Meanwhile we did anniversary retrospectives on C. P. E. Bach, Gluck, Verdi, Debussy, and Britten; memorial essays on Howard Mayer Brown, Charles Rosen, Kenneth Levy, Joseph Kerman, Pete Seeger, Lorin Maazel, and James Pruett; and eight installments of our popular advice column, Dear Abbé. Send us your best work, as the Society's mantra goes. Publication is usually within 48 hours: it's painless and brings nice rewards quickly. Read and re-post. Visit us often: for one thing, the most recent blog postings elsewhere in classical music are linked to our main page (“The Blogosphere," on the right). Leave a comment, or write and submit a response. Directions to Contributors are found in the tab at the top of the page. O’Kelly — An Irish Musical Family in Nineteenth-Century France (2014) was a new departure for me in several respects, especially technically and technologically. I did most of the research from home, designed it (layout, typography, illustrations), and published it within the shortest time imaginable. I usually research Irish classical music. I go to libraries in Dublin and London, buy antiquarian scores, and generally spend ages trying to find what I am looking for. This book, however, takes place in France, mostly in Paris and in the northern town of Boulogne-sur-Mer. These were the destinations of an Irish émigré in the 1820s, a piano teacher named Joseph Kelly (1804–56). His sons, all born in France, made themselves even more Irish by changing their name to “O’Kelly,” while at the same time wholly integrating French music and manners. Thus, for a change, nearly all the field research needed doing in France. Or did it? I am deeply grateful for a trend in librarianship without which this study would have taken very much longer: digitization. In fact, had I started five years earlier, the book might not have happened at all. Now it was possible to do nearly all the basic research from my computer in Germany. First of all, Gallica, the digital library of the Bibliothèque Nationale de France, is a fantastic resource. It features an increasing number of digitized scores, but what’s more, the newspapers and music journals at the core of such inquiry. I could type “Joseph O’Kelly” (the most prominent name in the family) into the search engine and get hundreds of responses relating to his compositions, performances, and publications. And beyond Gallica, I could do genealogical research online and thus follow the family members’ various addresses in Paris by the digitized état civil (the family registers). And this is not only true for Paris, but for local centers like Boulogne, too.You can't go away unimpressed. I did do some on-site research, though could have managed without it. This amounted to added color: photographs of the houses where the O’Kellys lived and of the graves at Père Lachaise and in Boulogne. I took down plate numbers of printed music during three afternoons at the BN. Who knows even the best-known composer, Joseph O’Kelly (1828–1885), not to speak of his brothers, sons and grandson? And why were they forgotten? Joseph was the author of nine operas and three cantatas, but mainly of songs and piano music. Some 230 of his works were published. He was a pupil of Halévy and Kalkbrenner, and was well acquainted with most of his better-known contemporaries. Saint-Saëns played organ at his funeral. 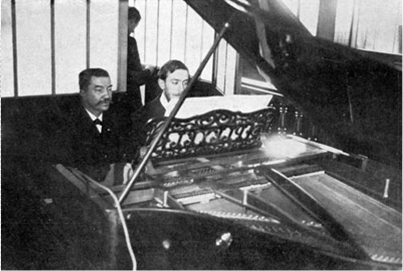 His son Henri (1859–1938) was a fellow-student of Debussy and Pierné at the Conservatoire and equaled or surpassed both on the piano. I have a theory about where their reputations went, developed in the book. Despite the advances of the digital age, the project had been going on for five years. (I have a day job.) Then a conference was scheduled for the end of May 2014 in Dublin on the topic of Franco-Irish musical relations. Here, obviously, was an ideal forum for launching the book, but it was only six months away. One Irish publisher had already declined the manuscript; should I really spend time writing proposals to British or American publishers, waiting for their notoriously unpredictable reviewing schedules? should I not just finish? This was when I decided for print-on-demand and for doing the rest by myself. There were obvious disadvantages: no professional editing or proof-reading, no peer-review, no automatic channels of distribution, no established “series” that libraries subscribe to. But there were immense liberties and opportunities in the self-publishing scheme. My “publisher” is a German company called BoD (Books on Demand), but these companies exist everywhere now. They provide an ISBN number and cooperate with a printer. I chose one of their page size options, formatted my pages accordingly, chose a font I liked, bought a scanner and scanned music examples and photos, and was able to place each music example exactly where it fitted. Finally I would choose from a set of cover designs and produce a PDF. I called up the company to ask how long would they need from (online) delivering of the book-block to the day of delivery of the printed book. With this information, I actually wrote the manuscript until mid-May and carried my printed copies to Dublin ten days later. It is a fine hardback print of almost 500 pages, and the e-book version is a byproduct of the process. Axel Klein is an independent scholar based in Frankfurt, Germany, specializing in the history of music in Ireland. He has written Die Musik Irlands im 20. Jahrhundert (Hildesheim: Olms, 1996) and Irish Classical Recordings — A Discography of Irish Art Music (Westport, CT: Greenwood Press, 2001); co-edited Irish Music in the Twentieth Century (Dublin: Four Courts Press, 2003; with Gareth Cox) and The Life and Music of Brian Boydell (Dublin: Irish Academic Press, 2004; with Gareth Cox and Michael Talor); and been editorial advisor for MGG2 and the Encyclopaedia of Music in Ireland (Dublin: University College Dublin Press, 2013). His website is www.axelklein.de. His older brothers and sisters went into law, nursing, ministry, the Army, and business. For Jim, Mt. Airy’s influences and his family’s belief in education led to a life of music, books, and learning. Over the years he sang in choirs, performed in a radio quartet, learned to play the piano, played French horn in the Moravian church band, and spent summers acting in Horn in the West (Boone, NC) [an outdoor summer drama that figures in North Carolina's rich legacy of such pageants]. 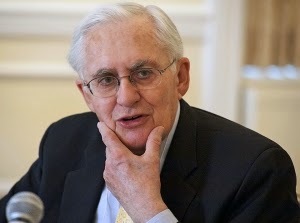 Pruett attended the University of North Carolina, Chapel Hill, where he earned the BA (1955), MA (1957), and Ph.D. (1962); his doctoral dissertation was titled The Hymns of Filippo Vitali. While a student, he met his future wife, Lilian Pibernik-Benyovszky, from Zagreb, a pianist and musicologist; they were married in 1957. From 1961 to 1976, Pruett was chief music librarian at UNC. He was also a faculty member of the Department of Music, teaching mostly classes in Renaissance music. Particularly challenging was his “Introduction to Research” class, required of all musicology students. It was equal parts bibliography and problem-solving. (His first assignment to me was a report on a two-volume encyclopedia of music in Hungarian; no, I do not read Hungarian.) He was an ideal dissertation advisor, insightful, fast, and a wonderful editor, often returning chapters the day after they were submitted to him. Upon his retirement, the department at UNC held a day-long conference in his honor, at which many of his former students presented papers. Somehow, Lilian managed to hide the conference from him and get him to campus on a Saturday without his knowing what was to take place. In 1993, he was honored by UNC as a distinguished alumnus. Jim was active in the American Musicological Society and Music Library Association, of which he was president (1973–75). He also served as editor of the MLA’s journal, Notes (1974–77). He was editor of Essays in the History, Style, and Bibliography of Music in Memory of Glenn Haydon (UNC Press, 1959; rpt. Greenwood Press, 1976) and author of Research Guide to Musicology (American Library Association, 1985) as well as a number of articles. In 2001 Pruett was presented a Festschift, Res Musicae: Essays in Honor of James W. Pruett, ed. Paul R. Laird and Craig H. Russell (Harmonie Park Press). In 2007 UNC established the James Pruett Summer Fellowships in his honor, allowing graduate students to work at the Library of Congress on major manuscripts and perhaps to find dissertation topics, particularly in American music. The more recent James W. Pruett Lecture in Music and Culture is a constituent of the Carolina Symposia in Music and Culture: the first speakers were Kate Van Orden (2013) and Jann Pasler (2014). William F. Prizer is professor emeritus at the University of California, Santa Barbara, were he was chair of the Department Music, 1995-99. A scholar of the north Italian Renaissance, his interests have ranged from the noble patronage of Isabella d’Este to the racy repertoires of carnival songs and of courtesans. He was also the first to link the ceremonies of the Order of the Golden Fleece to the enigmatic homme armé. In 2012 Prizer was honored with a Festschrift, Sleuthing the Muse, ed. Kristine K. Forney and Jeremy L. Smith (Pendragon).